Includes Amnesia Fortnight 2012 and 2014! You'll get all the content from both years: The daily doc series, all the prototype games, the soundtracks, and bonus videos! Browse our full selection of videos. Roll over the selections below to learn more about each title and watch a trailer. All titles available with Instant Streaming and HD Downloads! 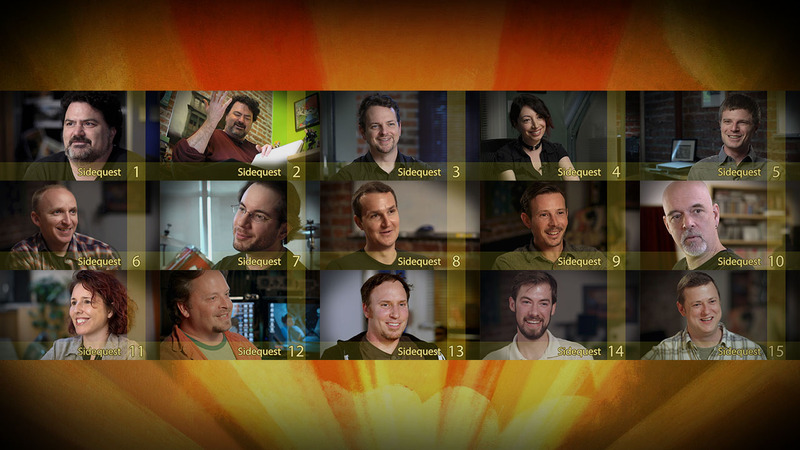 During the production of Double Fine Adventure we released a supplemental series called Sidequests. Each of these videos is an intimate profile of a member of the Broken Age team, with discussion focusing on their lives and experiences leading up to a career in the game industry. If you enjoyed the Double Fine Adventure but found yourself wanting to learn more about some of the people involved, Sidequests will give you a much greater understanding of the personal motivations driving the team to succeed. These videos have been restored a bit from their original release to fix a few errors and make them fit better with the final release of Double Fine Adventure. They are added free of cost to the Deluxe and Ultimate DFA bundles. My apologies for the rocky launch! Everything is looking good now though, we found some solutions for the bugs that had cropped up. Let me quickly explain the VHX download features. From within watching any video in your library you can choose to download it at a few different qualities from the Video Downloads drop down bar by the player. If you are interested in the highest quality I would not recommend that option. After uploading our master files VHX does a series of encodings on it's end, reducing the bitrate and creating optional lower resolution files. This is fine for streaming and if you are concerned with large download sizes, but it does strip out features embedded in our master files such as commentary, subtitles, art, chapters, and metadata. In order to get the best experience from the newly remastered files, I would recommend downloading the videos from the Bonus Downloads bar. These zips contain mp4s of all the videos with our custom presentation settings. Previously at launch we overloaded VHX's Bonus Content feature with the amount of videos we had added, so Bonus Videos and Deleted Scenes have now been grouped into a smaller number of files. You'll be able to get all the content by downloading Bonus Vids pack 1&2, and Deleted Scenes packs 1-5. All the zips are now under 4gb so they shouldn't cause errors on FAT32 file systems. We appreciate your patience and support over the years of this projects of development and wish everyone a restful holiday weekend! Well that last update seemed to have some formatting problems, didn't it? I'll avoid doing anything fancy (like bullet points) this time. It would seem that the size of our project has broken some of VHX's systems, most notably the zip file delivery system. Currently there are some bonus videos missing from the zip directory. These files are up on the VHX server but they aren't populating the user libraries. This problem has been escalated up to the engineering team and we're trying to find a solution. To further clarify, not all the episodes have bonus content or deleted scenes. This is confusing in the digital distribution and I apologize. There are no deleted scenes for episodes 7 and 13. There are no bonus videos for episodes 6, 8, and 10. It's also been brought to my attention that the commentary tracks for episode 20 are actually those from episode 1. The file will have to be rebuilt and uploaded. This should only impact the zip. 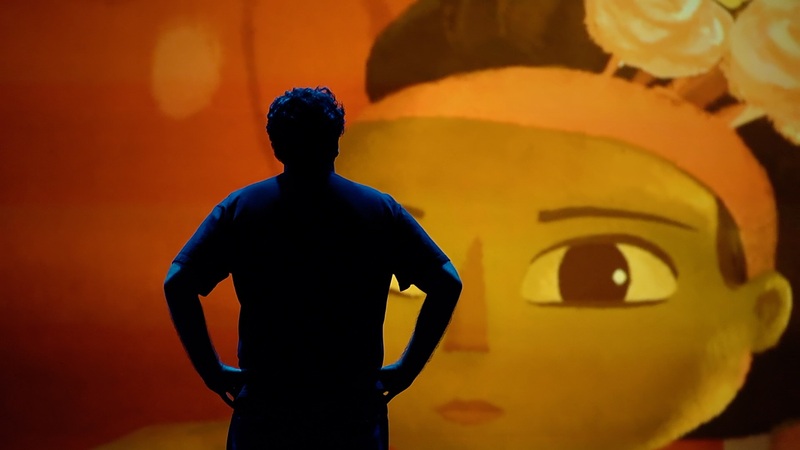 I should also mention that the blurs that have been removed apply to spoilers in regards to Broken Age. There are still some blurs in the series to protect sensitive personal information. I apologize for any issues associated with the launch and hope to have everything fixed soon. We're finding that this project is of an unprecedented scale for it's delivery platforms. There are bound to be some issues. We appreciate your support and patience, and I hope my next update comes soon and announces everything fixed! It's been a long time coming, but the definitive version of the Double Fine Adventure is here! Existing customers will find their library updated with all the new content! Unfortunately VHX does not currently support streaming of commentary tracks, but you can find all new mp4 versions of the series in the 'Bonus Downloads' section. These new versions have enhanced metadata along with optional english subtitles and 2 alternate audio tracks for the commentary. We appreciate everyone who waiting patiently for this release and hope you enjoy all the new content and the fresh coat of paint on the series! Preview the Finished Series with Episode 1 Right Now! Greetings adventure fans! We're happy to present an early sneak peak at the forthcoming final version of the Double Fine Adventure series. Since the end of the series we've been working to prepare this release by spending time that we didn't have during production to improve the overall quality. This includes new color treatments, noise reduction, english subtitles, two new commentary tracks featuring 2 Player and Double Fine, removing Broken Age spoiler blurs, new encoding settings, and improved metadata. The series is still in production, but we wanted to deliver an early preview of episode 1 "A Perfect Storm for Adventure" here on VHX so we could get your feedback. Since VHX automatically encodes every video uploaded to work within it's system, we're offering this new version of episode 1 as a downloadable zip file that you can find in the "Extras" listing. This way we can be sure you're getting the file exactly as we intended. We'll continue to work with VHX to improve the experience, eventually replacing all the streaming versions of the videos with the new files. Here you can see the detail lost in Tim's shirt from data compression. There has been much discussion about presenting the series in it's highest quality both internally and amongst the viewers. We're trying to find the best balance of quality and file size, but something that also has to be taken into account is that the series wasn't produced with top of the line equipment, so even our master quality footage will leave much to be desired from your average videophile. At a point, the quality return on increasing the bit rate just doesn't justify the inflated file size. After downloading the new mp4 file you should be able to load it up in your player of choice and/or add it to your media library. You should be able to turn subtitles on or off from within your player controls, and the new audio tracks should be selectable as well. In iTunes as an example, you'll find audio and subtitles listed under "Controls" in your menu bar. We're curious to hear about the experience in other media players, so if you encounter strange issues please let us know! *We have noticed issues with embedded subtitles playing back in Windows Media Player. A stand alone .srt file is included in the zip in case you have problems with the embedded ones. We thank you again for supporting this project, and hope you enjoy the new features!